How do I update my billing information on file? When you created the account, you likely setup a monthly (or yearly) auto-renewal to pay for the fees. 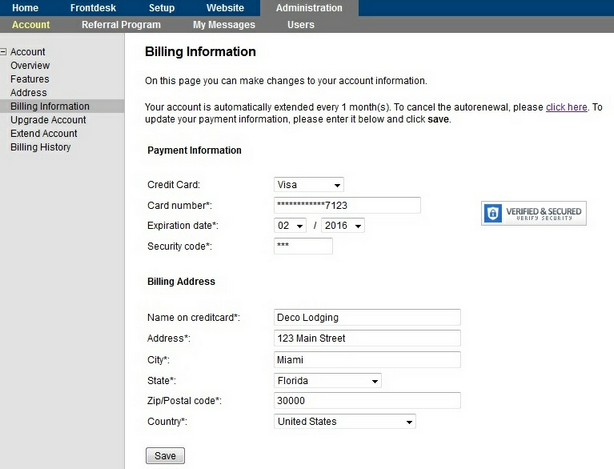 If you need to update the billing information on file, you can do that right in your account. Navigate to Administration - Billing Information. Make any updates and click Save. When your next auto-renew cycle comes up, then it will be charged to this new account information.